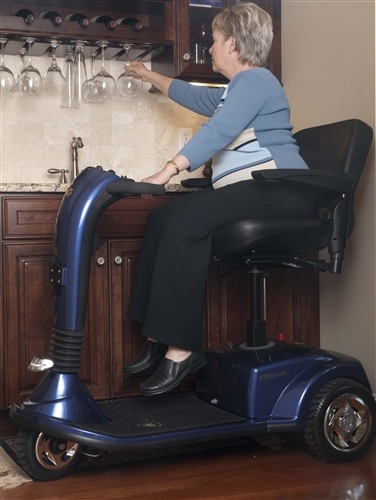 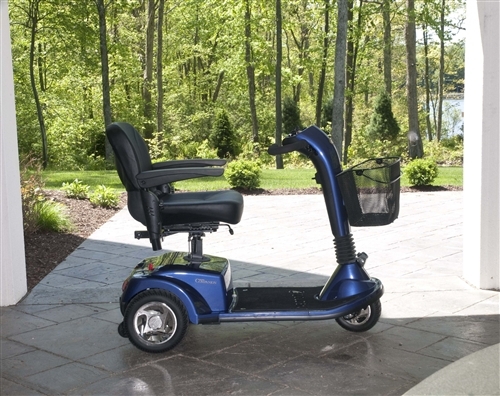 The Companion three-wheel scooter offers more leg room and foot room with a wider front deck and a stylish new design. Features include easy disassembly; an adjustable LED headlight; ergonomic control panel design with backlit battery gauge display; and wraparound Delta tiller. 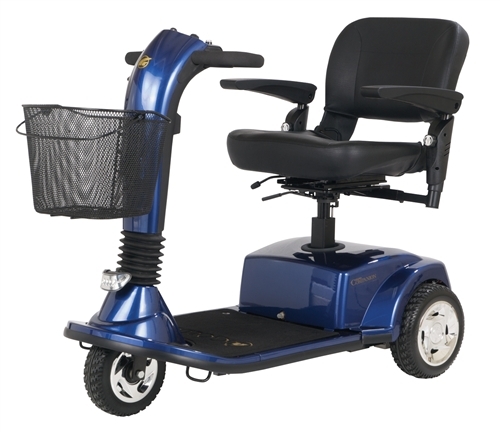 The Companion is the ultimate value in a full-time portable scooter.